Deja vu for us today! 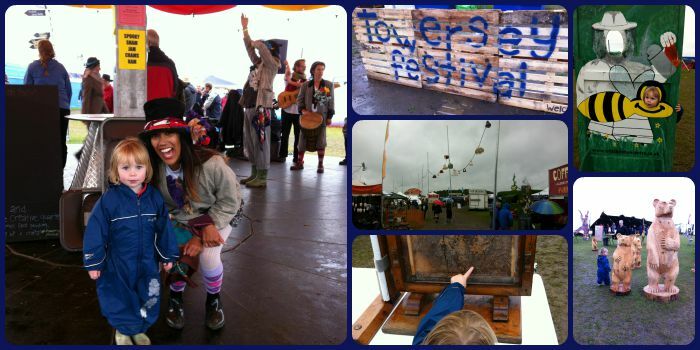 Another wet August bank holiday Monday found us at Towersey Village Festival again! 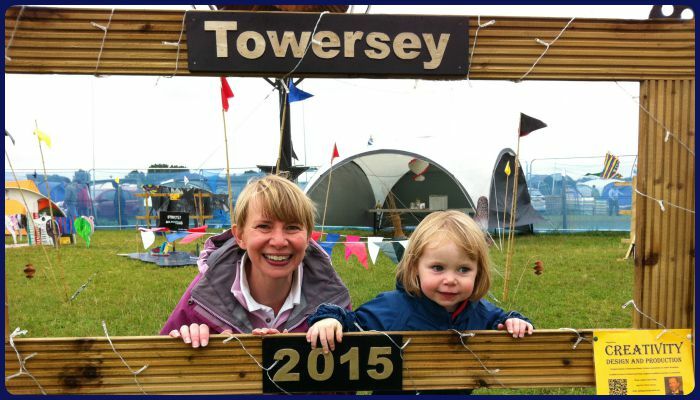 Little Miss A loved her first festival experience at Towersey Festival last year so I was keen to take her again. I was volunteering with my local NCT branch (NCT Aylesbury) as we were providing baby changing and feeding facilities for the festival-goers. Mr MoaB came along too with Little Miss A. Similar to last year, they were only going to stay for a bit and stayed for 4 hours! 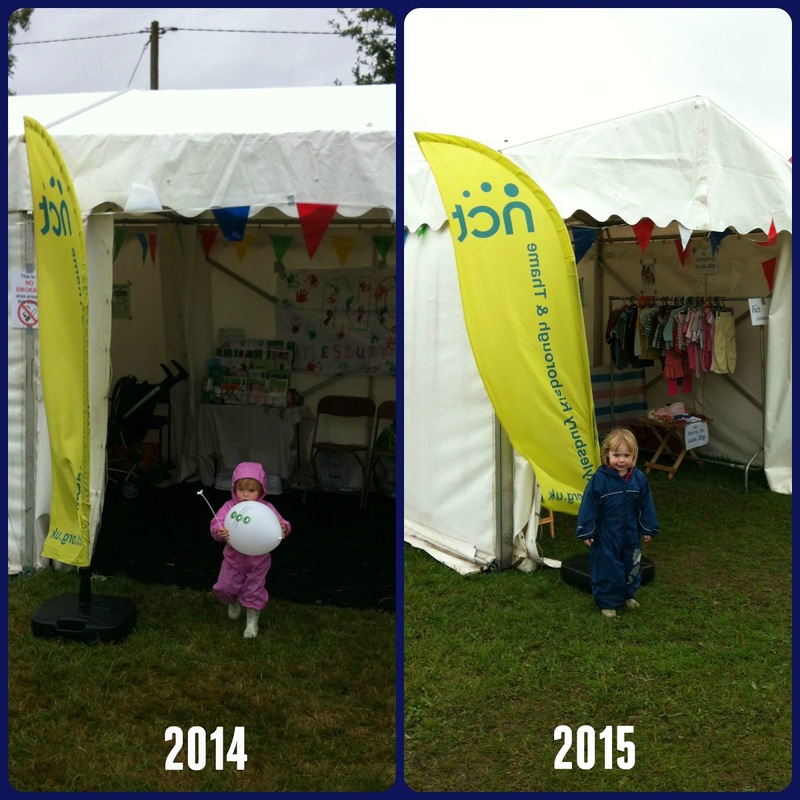 There was so much in the Showground for Little Miss A to see and do, when she wasn't dancing away to the music! Little Miss A and I joined in one of the dances with the Folk Dance Remixed group. They combine folk and hip hop music together in a really original way and had lots of the audience joining in with the dances! 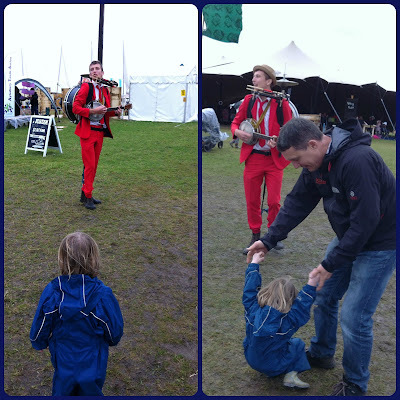 It was great fun joining in and Little Miss A had a great helping hand from one of the dance group (pictured above). Then it was the turn of Daddy to join in with the dancing to the one man band! There was a really interesting Creativity area with lots of interesting sculptures and artworks. 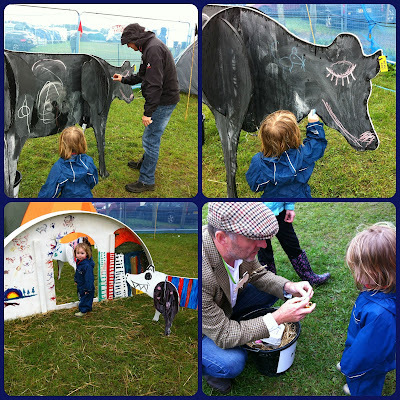 The cow was a chalkboard so Little Miss A spent quite a long time adding her own art to it! She also found one of the missing gold eggs and got a little prize from the farmer which she was pretty chuffed with! Little Miss A was so happy to potter about and kept discovering new things on each circuit of the Showground! It's such a great environment to just let her roam around. The rain certainly didn't hamper her in any way! Can't wait for next year (maybe, just maybe we'll have a sunny day next year! ).